In a brilliant synthesis of words and pictures, Edmund N. Bacon relates historical examples to modern principles of urban planning. He vividly demonstrates how the work of great architects and planners of the past can influence subsequent development and be continued by later generations. 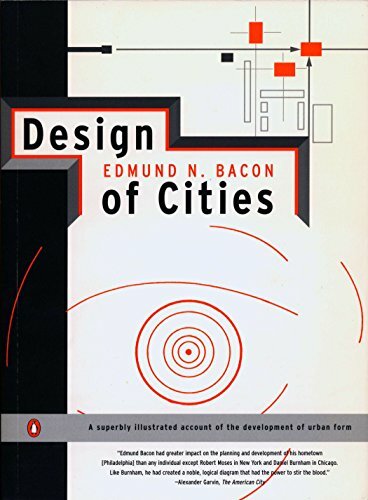 By illuminating the historical background of urban design, Bacon also shows us the fundamental forces and considerations that determine the form of a great city. 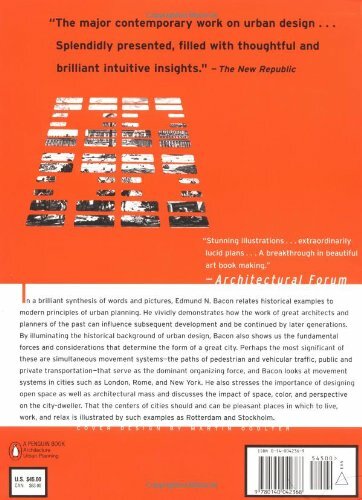 Perhaps the most significant of these are simultaneous movement systems—the paths of pedestrian and vehicular traffic, public and private transportation—that serve as the dominant organizing force, and Bacon looks at movement systems in cities such as London, Rome, and New York. He also stresses the importance of designing open space as well as architectural mass and discusses the impact of space, color, and perspective on the city-dweller. That the centers of cities should and can be pleasant places in which to live, work, and relax is illustrated by such examples as Rotterdam and Stockholm.